This study compared one group consuming a diet high in MCT oil with another group consuming a diet high in LCT oil. The diets had the same caloric content and were designed to maintain bodyweight. 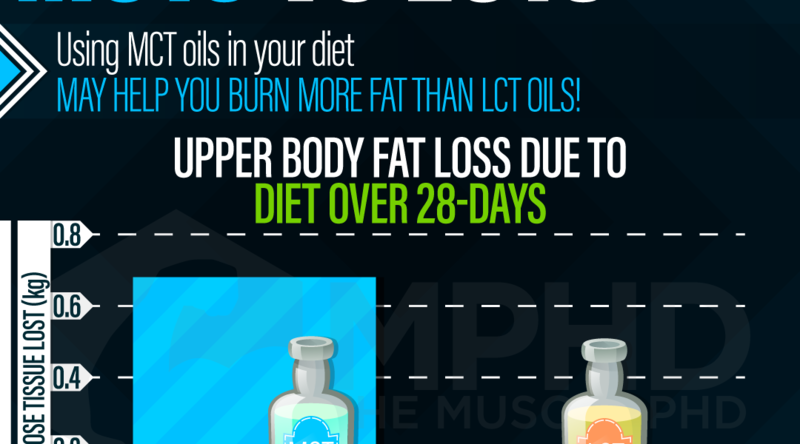 The MCT group lost more weight and significantly more weight from fat than the LCT group! This is probably due to the fact that MCT oils have been shown to increase overall energy expenditure. The Study: St‐Onge, M. P., Ross, R., Parsons, W. D., & Jones, P. J. (2003). Medium‐chain triglycerides increase energy expenditure and decrease adiposity in overweight men. Obesity Research, 11(3), 395-402.